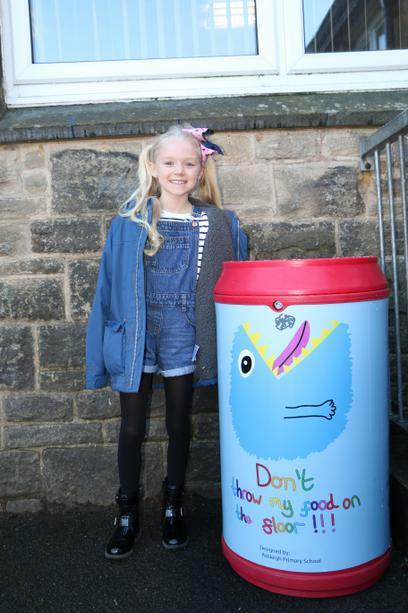 A few weeks ago, all children were invited to take part in a competition to design new bins for the playgrounds. It has taken quite some time, but they finally arrived this week. We unveiled them in an assembly earlier this week, and here they are in all their glory! 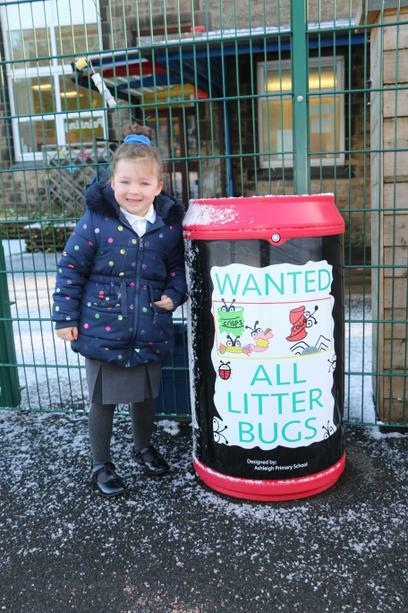 In order to stay within our policy of not publishing children's pictures with names, the children's names on the bins, have been blurred out on the pictures we are using on line.